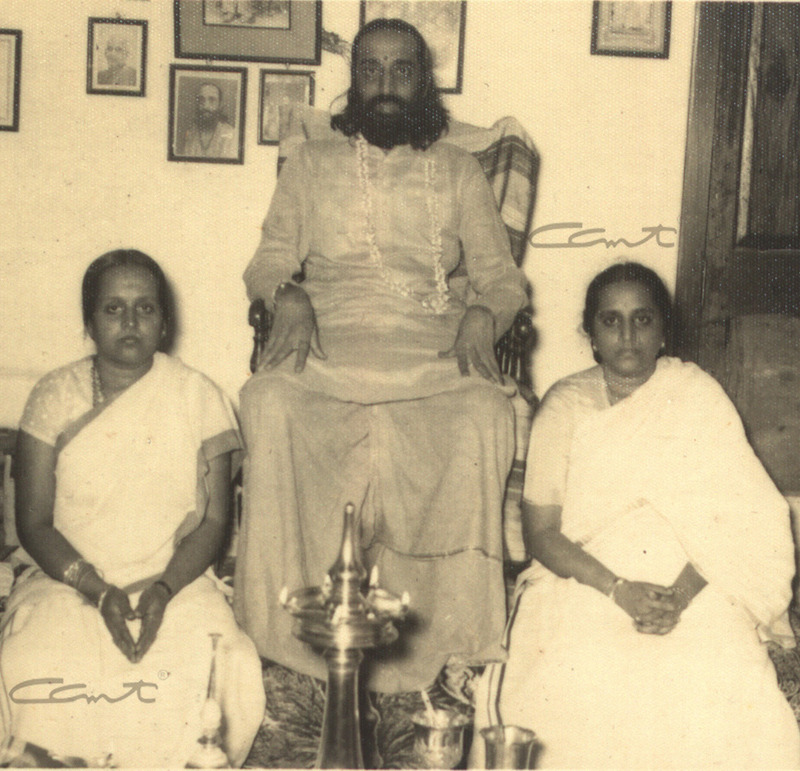 The 2 sisters of Swami Chinmayananda. Padmini on the left and Kanakam (youngest) on the right. The youngest of Parukutty Amma’s children was Kanakam. She was born in December 1921. Since her mother passed away after giving birth, she was brought up by Janaki Amma, another sister of Parukutty Amma. Kanakam was very emotional by nature and had a life-long guilt that her mother died because of her coming into the world. She was extremely attached to Balan. Her early schooling was done in Ernakulam. The young Balan would often bring her back from school on his bicycle. Kanakam was married into the royal family of Cochin. Through the years, she maintained a close contact with Gurudev, writing innumerable letters to him, talking to him over the phone and periodically attending his jnana yajnas. Listen to the reminiscences of Sri Raveendran, Kanakam Amma’s eldest son.